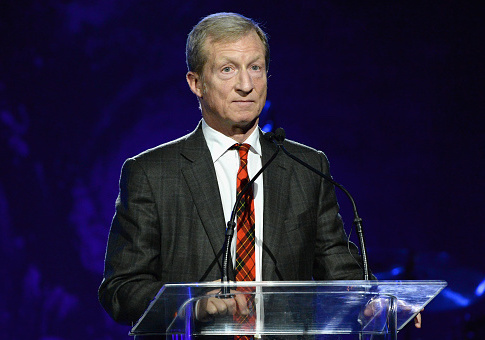 Left-wing billionaire Tom Steyer said perhaps there could be a "nuclear war" that would provide a "real course correction" to Donald Trump's presidency during an interview published by Rolling Stone. Interviewer Tim Dickinson pointed out Pelosi's strategy of opposing impeachment of President George W. Bush, to take the issue off the table in 2006. Democrats took back both chambers of Congress in an electoral rout that year. "She pointed to how she dealt with George W. Bush – whom many wanted to impeach," Dickinson said. "She believes the decision to take impeachment off the table helped Democrats take the House in 2006, and paved a path to Obama and a deeper correction." Dickinson responded that was a "sobering" thought, and Steyer replied he would take back the "nuclear war" comment. "We're trying to do what's right," he said. "And 2006/2008 did not happen because George W. Bush didn't get impeached, is what I'm saying. I should be a little bit more tempered: I take back that remark about nuclear war. The correction happened because the United States got screwed, and American citizens lost their houses and American citizens lost their lives – and, by the way, there was a terrible climate-related crisis, New Orleans, that the president fumbled." This entry was posted in Politics and tagged Tom Steyer. Bookmark the permalink.